If you’re looking to save a few bucks on some cheap Phillies tickets, Ballpark E-Guides has a few suggestions for you. These work best if you live in the area, but you can use this to your advantage if you’re visiting Philly too. Just in case you thought it was “.net”. Cheap Phillies Tickets, Tip #1) Get E-Mail Alerts. When you subscribe to the Phillies e-mail ticket alerts, you’ll get a bunch of deals in your inbox, especially for Flex Plans that include tickets for high demand games. They’ll let you know about ticket pre-sales, promotions like Dollar Dog Nights, and you may even get a deal for your birthday. With the screen locked up just in case some crazy fan wants to actually order tickets. Cheap Phillies Tickets, Tip #2) The Ballpark Pass. The Phillies, like other teams, now offer a pass that allows you into every home game over a month for a nice price. This would likely be for people who live in the area, but check the schedule to see if it can help you…for example, if you’re interested in seeing the Cubs, check when they’re in town and see if there’s a pass for that month. Or you can go to a few games if you’re a Nationals or Mets fan and it should pay for itself. This was 2015, so it’s a bit late to register for this one. They still do stuff like this though. Cheap Phillies Tickets, Tip #3) Help Your Fellow Philadelphian. In the Community section of the Phillies website, there are some opportunities to score tickets through kindness, such as participating in the 5K run (which costs a fee, but it’s for a cause). The Phillies will sometimes offer tickets for food donations and for other charitable events, and if you’re willing to help keep the ballpark clean through their Red Goes Green initiative, they’ll let you in for free and give you a food voucher. Click the image to find deals on Phillies tickets! Cheap Phillies Tickets, Bonus Tip) Try SeatGeek! 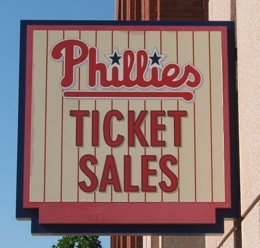 I’ve gotten great deals on Phillies tickets through my friends at SeatGeek (it’s part of how I saved $75 at Citizens Bank Park for one game), and that’s why they’re a favorite of Ballpark E-Guides. They’re also an affiliate, so Ballpark E-Guides earns a commission if you use the links in this post. Thanks for your support. If you have a problem with their being the ticket provider for the Cowboys, though, I understand. 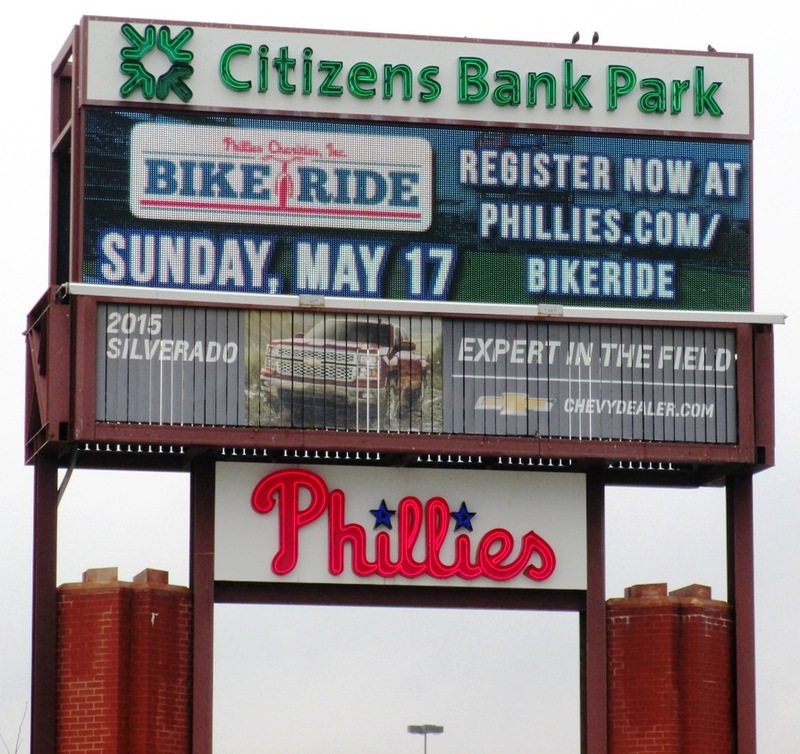 There’s just a few ways to score Phillies tickets for less; but there’s a whole lot of ways to save cash on Phillies tickets, parking and food at Citizens Bank Park. Stay tuned.